Glenroy Oakley joined Greyhound the British based reggae band in 1970. At the time the band had changed their name to Greyhound in 1970. Their first single was an Earl Robinson/David I. Arkin composition, “Black & White”, later recorded by artists as Diverse as The Maytones, Sammy Davis Jr and Three Dog Night. Glenroy Oakley singing Knock on Wood at a Fund raising night in La Marina in aid of The S.A.T’s Animal Charity. . The evening was a Great Success organised by Linda Reed and the venue was packed. with his fantastic personality and wonderful singing voice. Linda Reed – the Organizer raised a sum of 480 euros for the S.A.T’s Charity. Other videos of Glenroys are below. The above video is now the only one it seems in existance, the original has been taken down. On the above there are three numbers Black and White starts at 3.09 on the video and ends at 5.40. 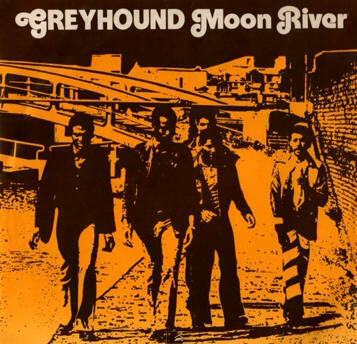 Greyhound was originally formed by Danny Smith and Freddie Notes as The Rudies in the late 1960s and released tracks under a variety of names, including the Rudies, the Tilermen and Des All Stars, before settling on the Greyhound name. 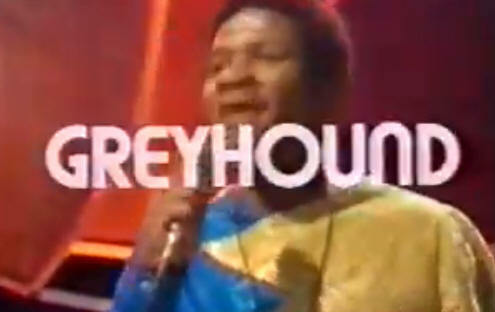 As the Rudies, the group had hits with reggae versions of Clarence Carter’s “Patches” and Bobby Bloom’s “Montego Bay.”This peaked at #45 in the UK Singles Chart in October 1970 Notes left as the decade closed, and was replaced by Glenroy Oakley, It was at this point that Greyhound had their numbers enter the top ten in the UK.and the reconstructed Greyhound had a huge hit with “Black & White.” A cover of Henry Mancini’s “Moon River” followed, and the group had a final run at the charts with”I Am What I Am” before breaking up. Extrait d’un “Best of” de Rocklife, petite soeur de Rockpalast. Alain Bombard à la guitare, Yes !!! Greyhound – (Glenroy Oakley)recording of Floating (Trojan 1972). Above is a live recording of Glenroy and Greyhound made in Sweden in 1971. Singing his hit Black and White. This is the message to all you people! All in the wide world!